First off, happy Martin Luther King Jr. Day! 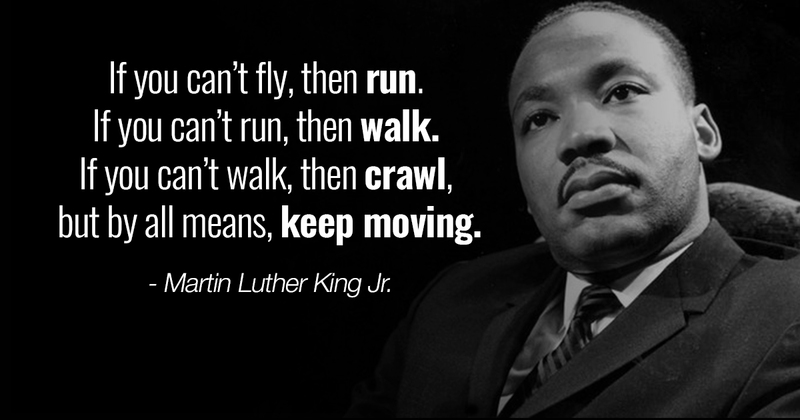 There are many reasons why celebrating MLK is important for our society, of course to recognize the leadership and accomplishments of Dr. Martin Luther King Jr as he fought for racial equality and civil rights for African Americans. Another reason to celebrate is how he has inspired generations of people of all colors, gender identities and sexual orientations to stand up and fight for equal representation and equal rights for all. In today’s social and political climate, the rise of racism and xenophobia have made us all feel like we’ve taken a few steps back. That the achievements of equality that MLK fought for are once again, at risk. It is one thing to change laws, but it’s entirely different to change hearts and minds. Even with integration, civil rights and marriage equality, long held but completely disproven stereotypes of black people as “inferior” and “savage” continue to persist. Changing hearts and minds starts with conversation, discussion and awareness of the issues. Such as the statements made by Ron Carlos, Tommie Smith, Colin Kaepernick, Jason Collins, Michael Sam, James Black, Serena Williams, Venus Williams, just to name a few. These athletes have succeeded in using their platforms to create discussions regarding racial inequality while standing up to racism directly to get their message across; regardless of the potential consequences. As the 2018 Winter Olympics in Pyeonchang approaches, we are seeing a different way to stand up against racism that still continues to fight for all that MLK has achieved and dreamed of. Changing hearts and minds not through discussion but through action. In sport, nothing makes a bigger statement than when an athlete takes to the court, field, rink, or pool and participates with their personal best effort. The Winter Olympics have been criticized as being whitewashed (1, 2) and only open to countries and people of wealth. With the majority of countries with access to suitable winter facilities for training and competition being in North America, Europe and certain parts of Asia. It’s easy to see how this might be the case. However, we have seen specific examples of representation from black people participating at the Winter Olympics. From the famous Jamaican Bobsled Team of Devon Harris, Dudley Stokes, Michael White, Freddy Powell and Chris Stokes at the 1988 Calgary Olympics to Surya Bonaly and her infamous back flip in figure skating at the 1988 Nagano Olympics. Of course we can’t forget about Shani Davis, the first black (of any nationality) athlete to win an individual gold medal at the Winter Olympics when he competed in speed skating at the 2006 Turin Games. Overall though, the representation has been quite limited. However, the 2018 Winter Olympics is shaping up to be a bit more diverse, keep your eyes out for speed skaters Shani Davis (representing his 3rd Olympics), Maame Biney and Erin Jackson who are the first black women to qualify for an Olympic team in Speed Skating. Jordan Greenway is the first black hockey player to be named to an Olympic team. In addition, for the first time in history a bobsled team from Africa will be represented at the 2018 Winter Olympics. Hailing from Nigeria, keep your eyes locked on Seun Adigun, Ngozi Onwumere and Akuoma Omeoga as they compete in women’s bobsled this February. By participating in the Winter Olympics, despite the games itself with a significantly higher representation of Caucasian athletes. These athletes have made a statement to the world that strength is diverse, equal representation shouldn’t be subject to skin color. That in the end; it’s about showing the world who we are and what we can achieve as individuals and as a team. All of that, just by taking part and putting forth their best effort. These athletes will help to inspire the next generation of black athletes from all over the world to see that they can accomplish amazing things, achieve their goals and go forward to helping further MLK’s legacy simply by pursuing their dreams.